I love Cleansing balms, the way they make your skin feel while using them or after you have used them on your skin, it is all a totally different experience. 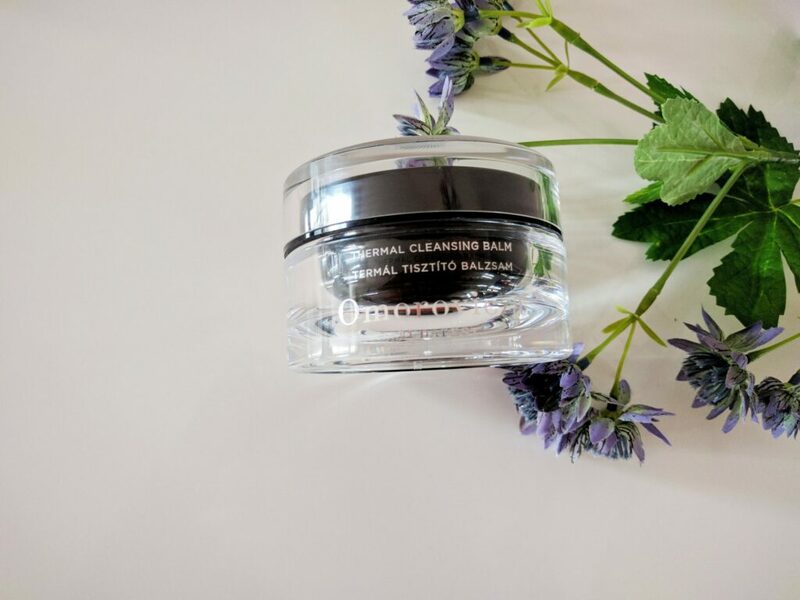 I have bought and tried many of them, and when it comes to Cleansing Balm, how could I not have had this one from Omorovicza called the Thermal Cleansing Balm. 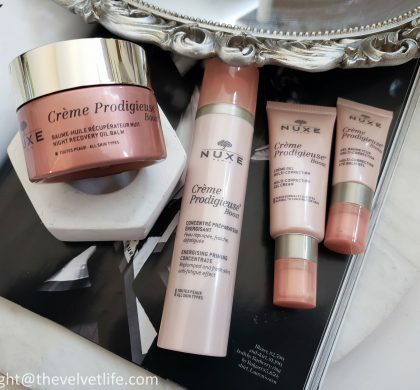 I got a sample of this cleansing balm a few months back which I loved and then came the big splurge when I moved straight from the deluxe sample size to the biggest size available for this Balm which is 3.5oz/100ml (CAD $220 excluding taxes). This might tell you how much I liked the sample that I went on straight to this big tub of cleansing balm. Moreover when you like something and you know you will use it up, then it is always okay to go for the bigger size. Omorovicza Thermal Cleansing Balm is described as a Purifying, Healing Black Cleansing Balm and suitable for all skin types. 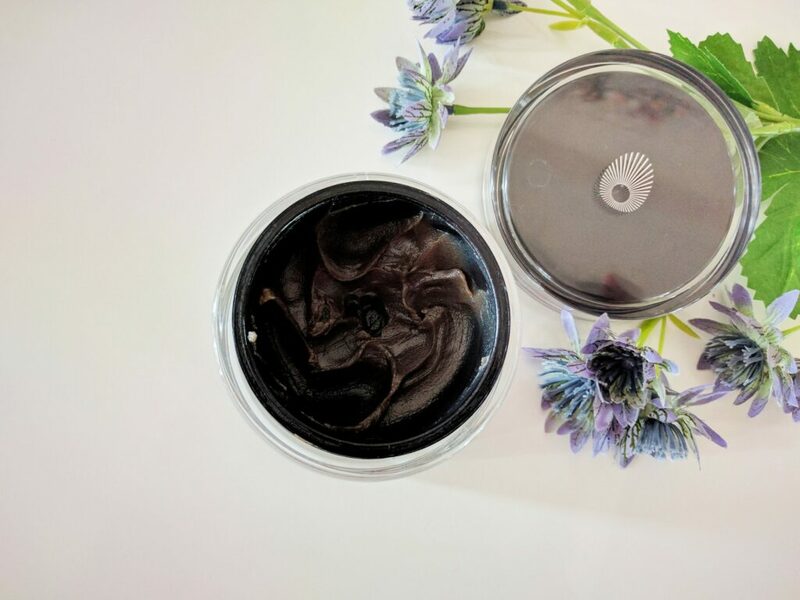 This cleansing balm is rich in Hungarian Moor Mud which has a unique mineral complex which detoxifies and purifies the skin. The balm texture helps remove the makeup, waterproof mascara and helps cleanse the skin without stripping to leave the complexion soft, hydrated and radiant. Hungarian Moor Mud which is harvested in Lake Heviz, the largest thermal lake in Europe. 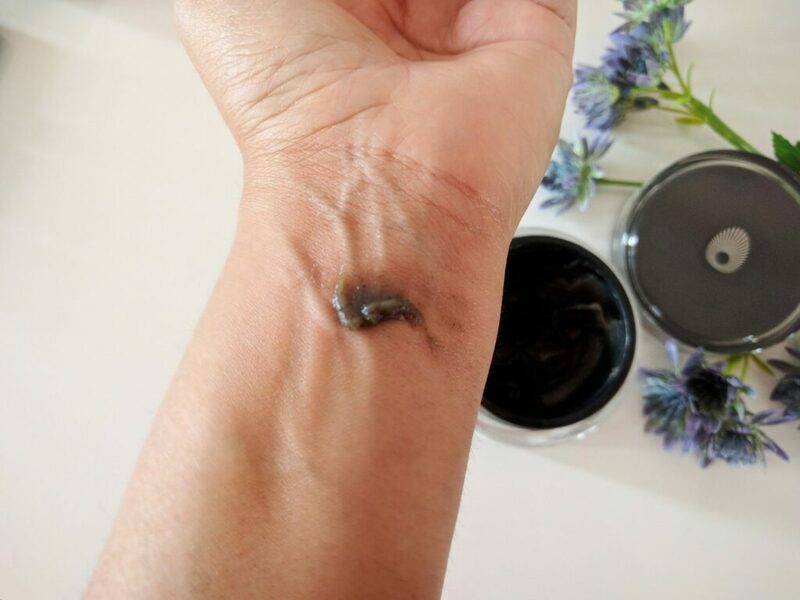 It is rich in Calcium Carbonate and Magnesium Carbonate, Humic Acid, and Fulvic Acid, which together are all helpful in purifying and nourish the skin. Sweet almond oil which is rich in Vitamin E . Vitamin E replenishes the skin and leaves it soft and hydrated while removing the makeup and impurities of the skin surface. 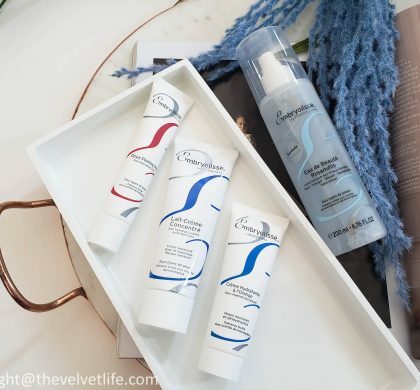 Hydro Mineral Transference Delivery System which is exclusive and patented by Omorovicza helps firm the skin making it look supple and young. This balm has uplifting orange blossom scent which makes the cleansing of skin a ritual. This cleansing balm is free from any synthetic fragrance, colors, petrochemicals, silicone, PEGs (polyethylene glycol) and parabens. There are dermatological benefits of this cleansing balm which include support of natural collagen and elastin, a tighter lipid matrix to lock in hydration and protect skin from micro-damage, and improved antioxidant defense against free radicals. I have used this balm both as a first cleanse to remove makeup as well as a second cleanse to clean the skin. I prefer to use this as a first cleanse in the evening and then the only cleanse in the morning. I apply a small amount (almost the size of an almond) of this cleansing balm to my dry skin and massage well onto the face including the eye area. I massage my face in circular moments so as to cleanse and stimulate the circulation for a minute or so. Then I take a damp warm face cloth and remove this balm from the face. I am going to give stress again on the word ‘Face Cloth’ or if you use a cleansing mitt, that is fine too. If you do not use a cleansing cloth to remove this balm, you will have a totally different perspective on this one. This is from my experience as I did massage it on my face a and then tried to emulsify it by wetting my hands and then massaging them on my face, then washing it off. It left my face oily and I didn’t get a nice feeling about it. Then I went on to see on the brand’s website the exact way and there it was the cleansing mitt/wash cloth. It is seriously a must to use when using this cleansing balm. My skin did feel clean, plum and radiant when I have cleansed with this balm. 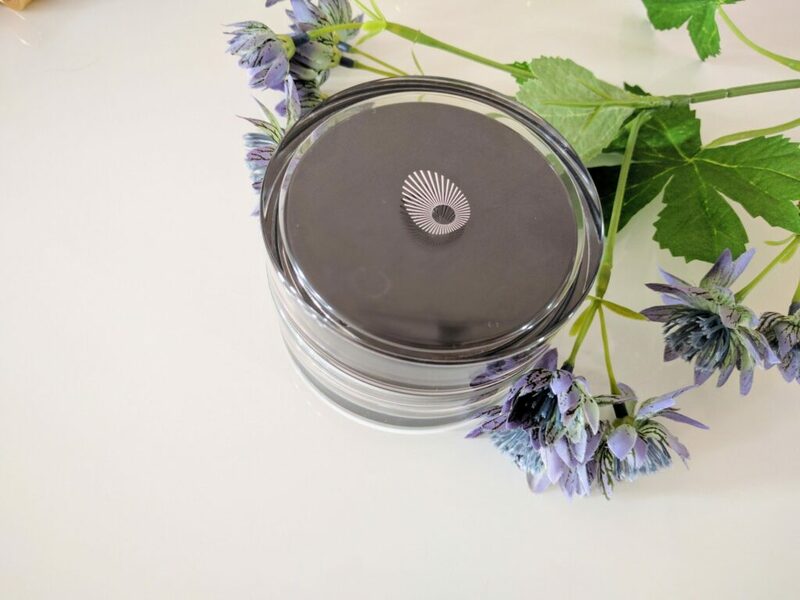 Omorovicza Thermal Cleansing Balm has been nominated and won many awards from various organizations like Harper’s Bazaar, Beauty Shortlist and been a favorite of many Beauty Connoisseur’s. It is available at Sephora Canada website and Omorovicza Official Website in 3 sizes 0.5oz ($CAD 40), 1.7oz (CAD $135) and 3.5oz (CAD $220) excluding taxes and it does last a long time. 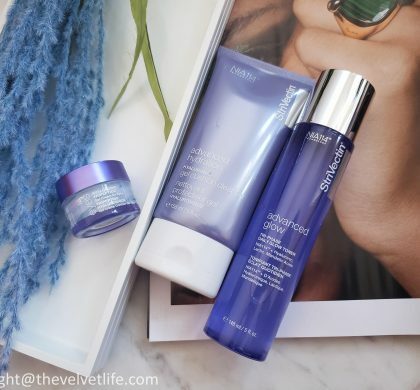 I do love their Omorovicza Deep Cleansing Mask which I reviewed here if you are interested. Do you like using a cleansing balm? When do you use to prefer a cleansing balm – for removing your makeup and for the second cleanse?